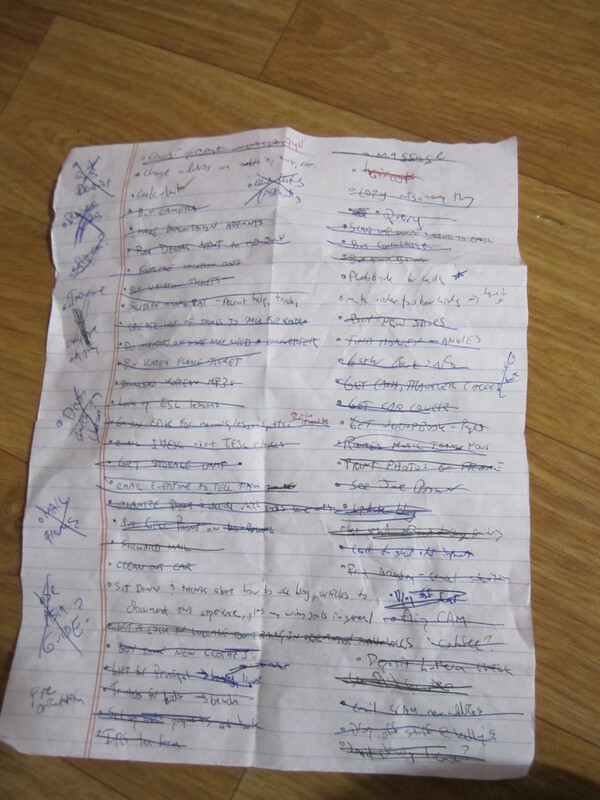 Recently, I found my “To Do” list from July listing everything I wanted to accomplish before moving to South Korea. I typed it out here for aspiring ESL teachers headed to South Korea (or, really anyone going to another country for an extended length of time) who have that feeling that you’re forgetting something. I’ve included some links to help you navigate some of the more difficult tasks. Thanks for the link! Good luck in Korea! You should add me to your “korea-related blogs” section if you like my posts! Yes, of course! I haven’t completely updated the links section on the site yet, but I’ll be sure to add you. Thanks for reading!